Hypnotherapy is an effective way of changing behaviours, beliefs or negative habits and is being used today by people from all walks of life to overcome a variety of problems such as anxiety, addictions, fears and phobias. Hypnotherapy is not mystical or magical, it is a natural, deep relaxation which allows us to bypass our conscious mind and make changes to our unwanted habits on a deeper level, in our subconscious mind. Under hypnosis, you will be in control, relaxed and secure at all times and will leave a hypnotherapy session feeling calm and relaxed. My hypnosis sessions are designed to help you feel well, happy and in control of your life. As part of the hypnotherapy experience, you will learn about the power of your own mind and this, in itself, will be the beginning of a new you. Once you understand how hypnosis works, you will understand how easy it is to make the changes you want to make in your life when willpower just isn’t working. If you are under doctor’s care, always consult with your GP before having hypnotherapy. All information contained in this page is for your informational purposes only. Information you find on this page should not be used by you as medical advice or as a substitute for professional medical advice, diagnosis, or treatment. Always seek the advice of your doctor with any questions you may have regarding a medical condition. A deposit of £25 will be required to book your session. This can be refunded if 48hrs notice is given for cancellations. Anxiety Relief Hypnotherapy will quickly help you manage your anxiety and, with daily practice, will teach you how to relax and overcome many of these symptoms. Why does hypnotherapy work for people who want to quit smoking? Because hypnotherapy can change habits, and that is exactly what smoking is, a habit. 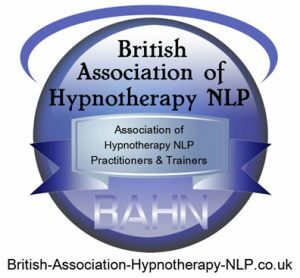 So how does hypnotherapy work? We use hypnotherapy to speak to the subconscious part of the mind and train it to realise you no longer need this bad habit. Some people respond very quickly and stop immediately, some may take a little longer, everyone is different. Before booking a hypnotherapy session, I will assess your situation and decide if hypnotherapy is right for you as for ultimate success you must be 100% committed to quitting. For instance, if you are having hypnotherapy because you husband or wife wants you to quit, you could be wasting your time and money. If you are ready to quit because you’re tired of smelling like an ashtray, tired of being controlled by a little white stick – a wolf in sheep’s clothing that spends your money on giving you bad breath, bad teeth and bad health, you could be ready for hypnotherapy. Losing weight is difficult for many people because we have got in to the habit of eating what we want, when we want it. Fast foods, sweets, cakes, fizzy drinks all contribute to the weight which can creep up on us when we’re not looking. The key word here is habit. We get in to a habit of eating bad foods and because habits are stored and protected by our subconscious mind, we find it difficult to get out of the vicious circle on a conscious level using our willpower. So we need to change the habit and we do this by re-training the subconscious mind to let go of the unhealthy habit and create a new healthy habit. What do you do before you put food in to your mouth? You imagine putting food in your mouth. You think about putting food in your mouth. So it’s safe to say if you can change the way you think about food, you can change the way you eat, how much you eat and what you eat, in order to help you lose weight in a healthy way, on a long term basis. It is possible you have got in to the habit of eating too much of the wrong food without even noticing (subconsciously), so we now need to re-train your brain to want smaller portions, healthier food and be happy to do so. All your decisions about food take place in your mind so under hypnosis we will reprogram your subconscious mind and change your way of thinking about food. YES. The lightest state of hypnosis (Alpha) is achieved easily. Everyone enters a hypnotic state every day, several times per day. It’s that state you are in when you are watching TV, reading a good book, playing video games, and, yes, even driving. It’s the state you are in when you are just waking up or just going to bed. You are not fully conscious, but you are not fully unconscious either. In this state you’re up to 200 times more suggestible than when you are fully awake (Beta). What exactly can it do for me? That was a valid question a few years back, before we had advanced research on the topic. It has been discovered by several research groups that the hearing acts like a surveillance camera. Your eyes close, but your ears cannot close. They remain open always, taking in information constantly. When a mother is “asleep” and hears her baby cry, she will “awaken” immediately. Can I engage in other forms of therapy while I’m doing this? Is there any problem that you can’t handle with hypnotherapy? Anything that anyone is experiencing which is a psychosomatic nature (ie: the body being affected by the mind) is easily relieved with the use of hypnotherapy. This list is limitless (ie: nervousness, sleeplessness, weight gain, etc) also habits that are controlled by the mind are easily limited (ie: nail biting, smoking). If a client has a medical problem which is purely of an organic nature (ie: a problem resulting from brain damage or any other damage to the body) the use of hypnotherapy can still of value, however the results can be somewhat mitigated by the presence of the physical damage. In the presence of damage to some part of the body, it is strongly emphasized that you should seek the knowledge of a medical professional in addition to or instead of hypnotherapy. Are medications needed or used? What if I believe I’m too old to change? Is that a stumbling block? Your subconscious mind does not have an age and this is what hypnosis targets. Hypnosis can help you change no matter what your age. What if I don’t believe in hypnosis? Will it work anyway? If I’m not sure I really want to lose weight (stop smoking, control alcohol, etc. ), will hypnosis work? What makes a person a good candidate? Anyone who wants to make a change in his or her life is a good candidate. I highly recommend Nicola, I had a session with Nicola, just after Christmas. I had decided to give up alcohol at Christmas due to it not suiting my holistic lifestyle, and occupation. Nicola took me through hypnotherapy session over Skype as we live in different parts of country. I have had hypnosis previous to this but I can honestly say it wasn’t patch on Nicolas her voice was soothing, calming yet had strength and the details within the hypnosis where perfect for me personally. Nicola was able to take me deep in hypnosis and my body mind completely relaxed felt calm and safe to do so. This is truly a gift of hers. My life has changed, and I believe this is part of the reason Thank you Nicola for your support. Nicola has successfully cured me of my unhealthy addiction to chocolate with only one session! I had hypnotherapy targeted on chocolate four months ago; the session was very enjoyable, relaxing, and a complete success. Highly recommended – from a former chocoholic. My name is Carol Kenyon, I am 55 years old I have been dependent on various kinds of medication for over 20 years. Just one Hypnotherapy session changed my life. I was on a cocktail of medication to help with Arthritis in my hands elbows and shoulders the medication was also given to help with the pain I suffer with the Spondylitis of the Upper & Lower Spine. Three of the tablets are commonly referred to as uppers; What this does is mask your pain and let you believe that you have no pain at all. Because of the amount of pain relief I was taking I then had to take a tablet to be able to sleep. This tablet is commonly called a downer and is known as an ‘addictive’ drug as is the other 3 tablets I was taking. Normally a Doctor would have to reduce the medication over a period of time until fully weaned off of it. However, in my case, after only one session of hypnotherapy with Nicola, (with my GP’s permission), I felt able to stop taking the ‘downer’ completely overnight and I have not taken any since and have not suffered any withdrawal symptoms. I sleep well and wake up in a morning with no drowsy feelings, I wake up refreshed. My Doctor is amazed at how much better I look and feel. I have now been able to reduce the other medication by at least 40%. My main aim with hypnotherapy is to one day be drug free. 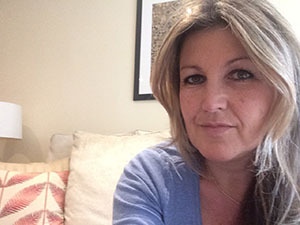 By listening to my hypnotherapy session Nicola recorded for me on a regular basis, I am able to relax whenever I want. I have become more confident. It has changed my life on a daily basis as I can now cope with any issues or situations which would have previously caused me major anxiety. Saying thank you to Nicola does not seem enough. By reducing my medication, I can enjoy my grandchildren more. I would recommend Hypnotherapy sessions by Nicola Smith. These sessions can help to save, change and enrich your life.